Breathe is a magazine I not long ago came across. Breathe is a mindfulness magazine for a more calmer and relaxed you. They also do a teen addition and sell a range of fun journals. I'm a huge fan of the magazine with its beautiful illustrations and informative articals encouraging mindfulness, creativity and looking after your own mental and physical wellbeing. Issue 13 of the magazine is out now and I'm looking forward to some me time so I can enjoy my copy. I've also got the nature journal to get started on although am very tempted by the others too. 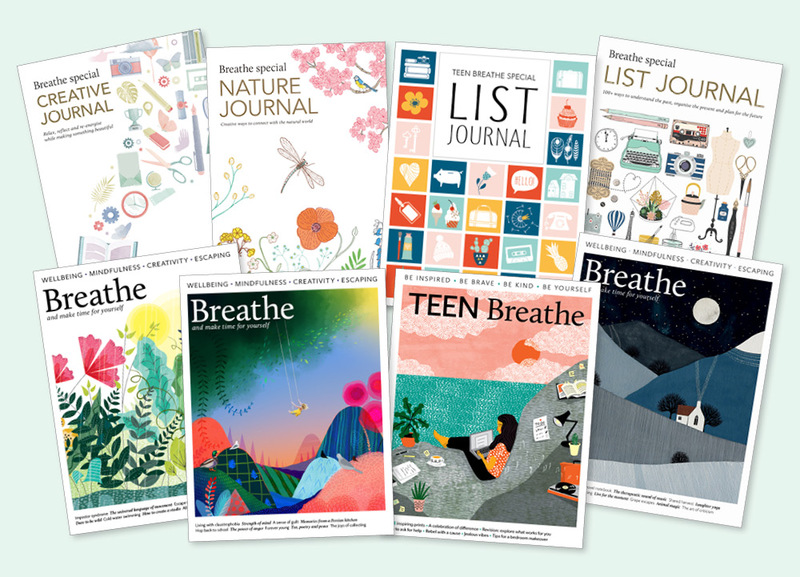 I was recently given the oppertunity to collaborate with Breathe and I'm excited to give my readers a chance to win an amazing bundle of goodies. The bundle of goodies that one person will win is worth over £50! All you have to do to enter is complete the rafflecopter below terms and conditions apply. i have recently picked p a book myself, first time in years!!! I spend my me time gardening, growing historical herbs is my hobby and being out in nature is a real treat. Either reading or watching sci fi or comedy boxsets. I like to argue with Americans on the internet. Reading books, baking cakes and enjoying the countryside. It depends on my mood. It can be spending time with friends, reading, watching tv or pampering myself. A lot of working and cleaning for me! My hobby is competitions, so I enter those in a lot of my free time.